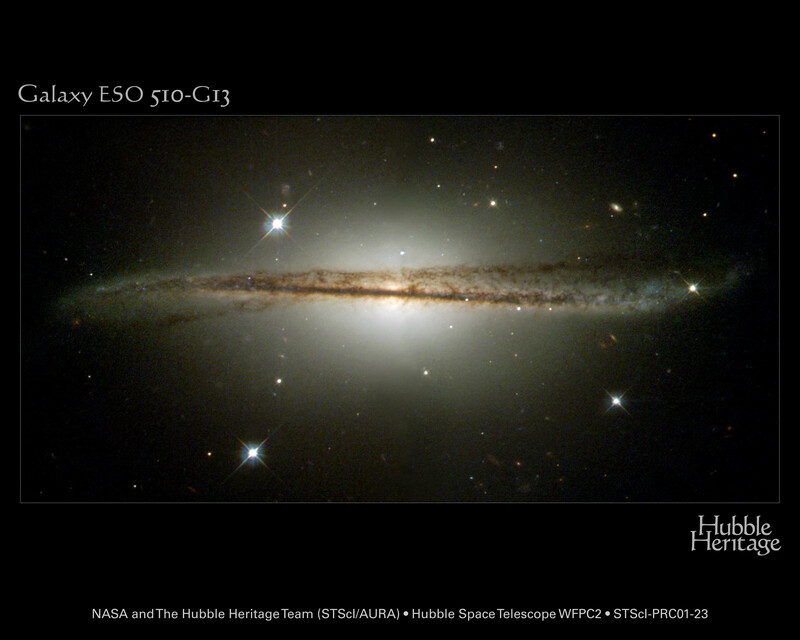 Explanation: How did spiral galaxy ESO 510-13 get bent out of shape? The disks of many spirals are thin and flat, but not solid. Spiral disks are loose conglomerations of billions of stars and diffuse gas all gravitationally orbiting a galaxy center. A flat disk is thought to be created by sticky collisions of large gas clouds early in the galaxy's formation. Warped disks are not uncommon, though, and even our own Milky Way Galaxy is thought to have a small warp. The causes of spiral warps are still being investigated, but some warps are thought to result from interactions or even collisions between galaxies. 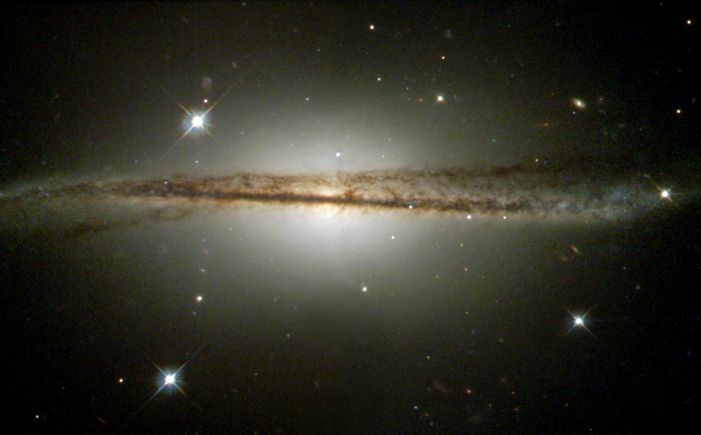 ESO 510-13 is about 150 million light years away and about 100,000 light years across.